A few class sessions ago, I had my sixth grade students work on a character sketch for the narrator, Jo, in their novel Jericho Walls. Because they are working on predicting, and because I really wanted them to get a deeper understanding of the narrator, I led the class in a group discussion about Jo and symbols that could represent her. 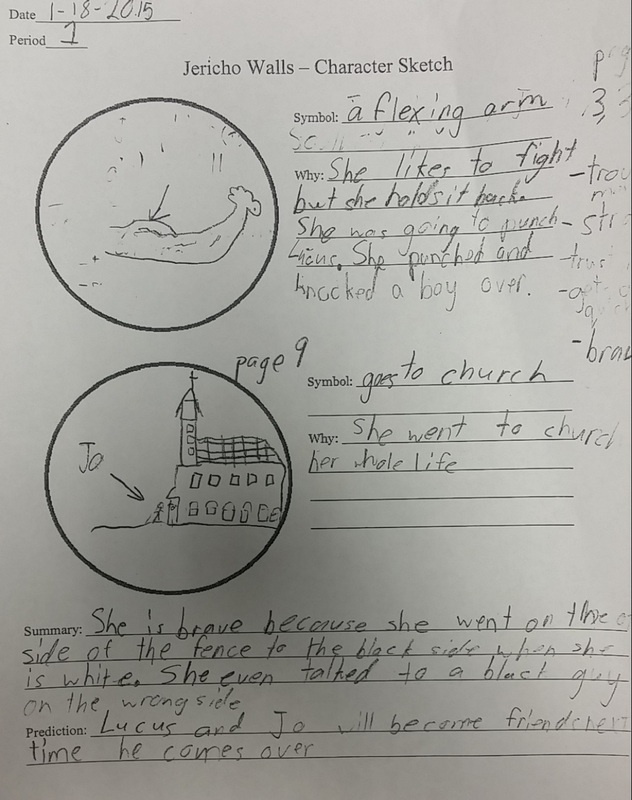 Though the discussion was challenging, [read more here] I think the students had some good insight into a narrator who is both tough and shy, quiet and loud, a preacher’s daughter but fighter–overall very complicated! 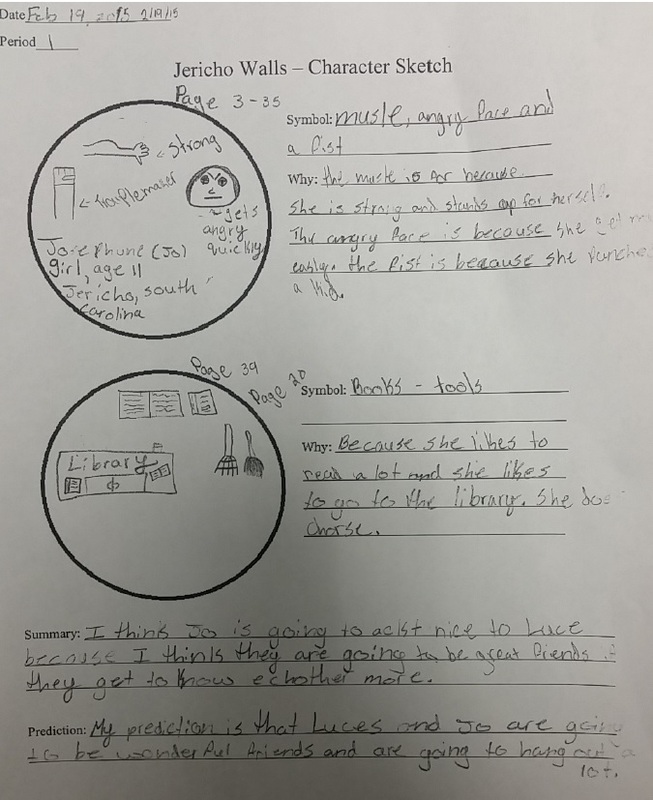 Here is the worksheet: Jericho Walls Character Sketch, and below are some student examples. I think they enjoyed the activity and are beginning to understand Jo’s character better!